XMAS Special - we like the pork gelatin for making Xmas treats like gummy stars or gummy bears, as it has such a fine texture. So you can try it out, we've put the price down for December and January. What is a gelatin powder? 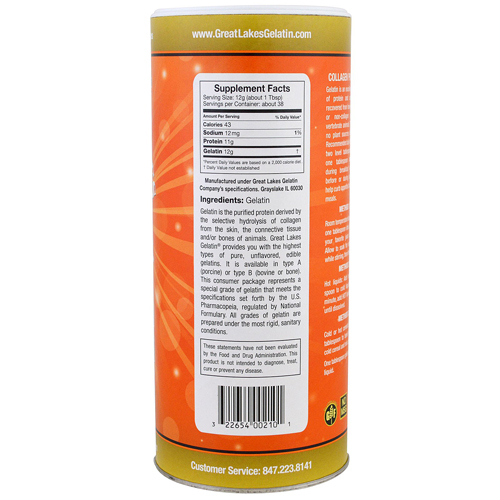 Gelatin powder is simply cooked collagen, reduced to a pure protein powder. This is the same type of protein you'll see when you make homemade bone broth—if you get enough collagen-rich bones and other parts in there, the broth will gel in the fridge. "The Food of a Thousand Uses". 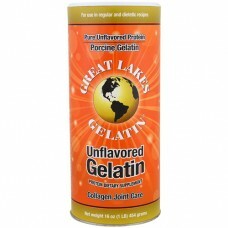 Unflavored and unsweetened, 100% pure pork gelatin. Can be added to stocks to thicken, and will assist in the digestion of all foods. 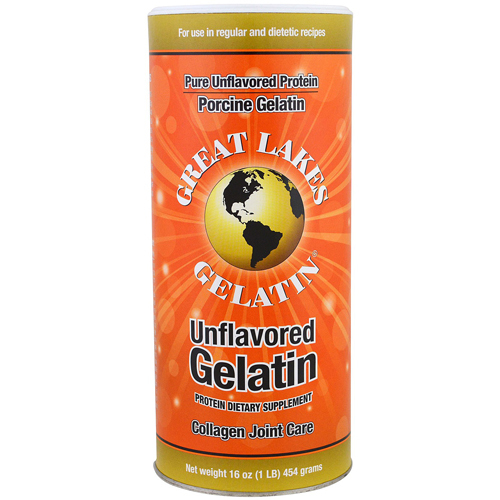 For use in any recipe calling for gelatin such as real fruit jellies or our cod liver oil chews. Or add to a hot drink. Sprinkle over room temperature liquid to swell and soften, then gently heat to dissolve. What are the hogs fed? Those hogs raised in farm areas get their daily normal feed (raw corn, pellets, selected waste foods from restaurants, and grocery stores). Cloistered hogs are fed raw corn, selected grain pellets, and a variety of natural foods from various food markets when available. What does it mean to be USDA approved? The USDA certifies that rindepest, foot-and-mouth disease, classical swine fever, swine vascular disease, African swine fever, and contagious bovine pleuropneumonia are not present in the products. All pigs have received ante- and post-mortem inspections by official veterinarians and are found fit for human consumption.